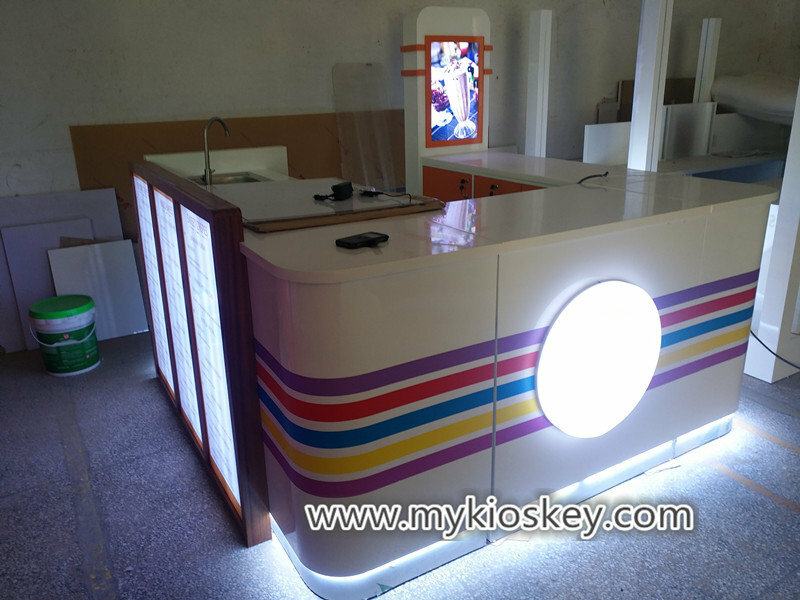 You can saw the whole kiosk is very mini and simple , mainly tone is white match a little orange and brown color wood grain , basic material is MDF , surface is baking painting finished and colorful sticker strip . white man made stone worktop. 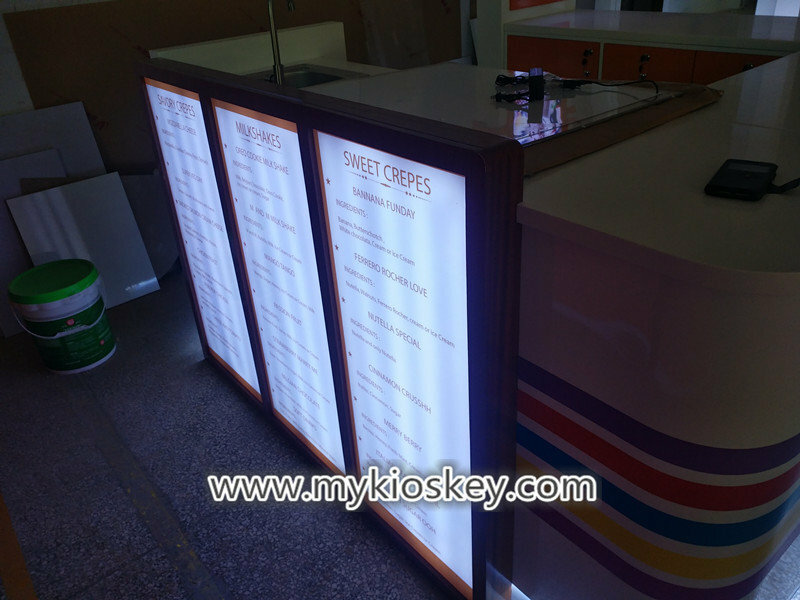 wooden cabinet , stainless steel skiritng with white led light strip . The front of this kiosk is a cashier counter and steamer , the left sides is a double Double plate crepe maker . There are two refrigerators under the table . 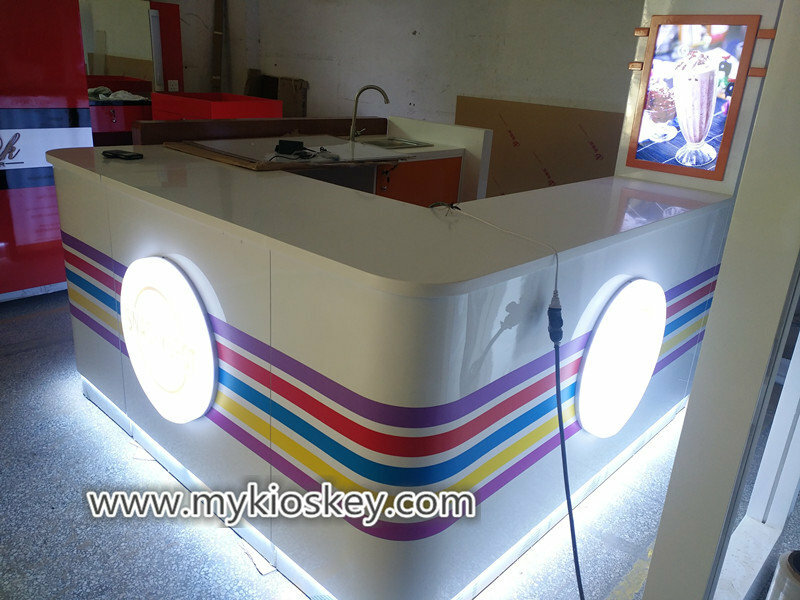 back sides is a coffee machine , a milkshakes machine and a single stainless steel sink . . the kiosk surface with light box , color strip ,very bright and colorful . Item : milkshakes kiosk . Size : 2m by 2m . Color : white , orange , brown wood grain . Material : MDF , veneer . 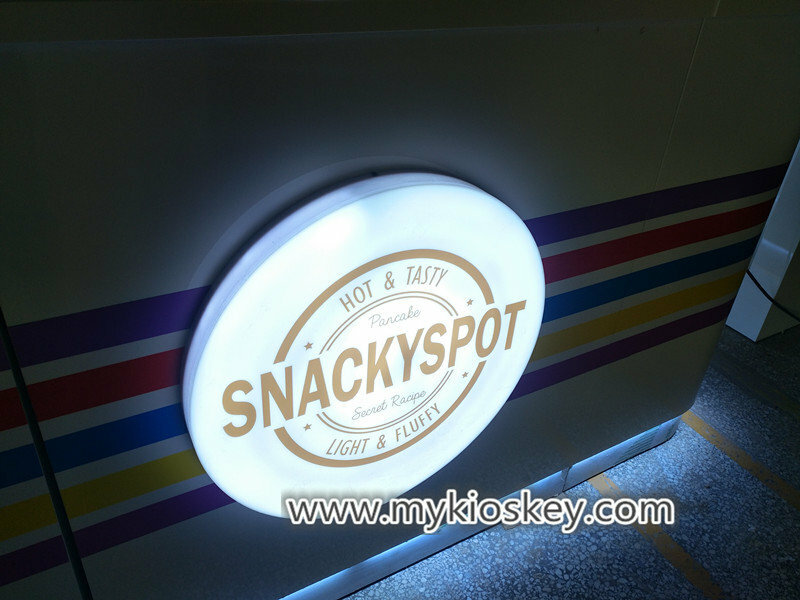 Accessories : light box , acrylic logo . led light strip. Service : for corn , crepe , milkshakes , coffee etc . 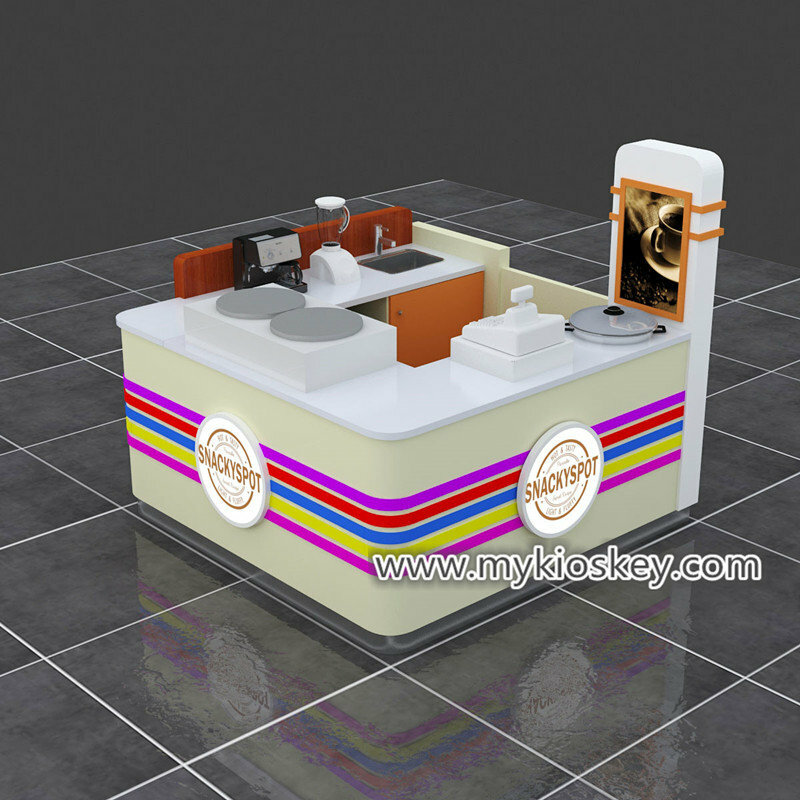 Thanks for your time and reading , if you need more further info about this milkshakes kiosk , pls feel free to contact us , thank you ! 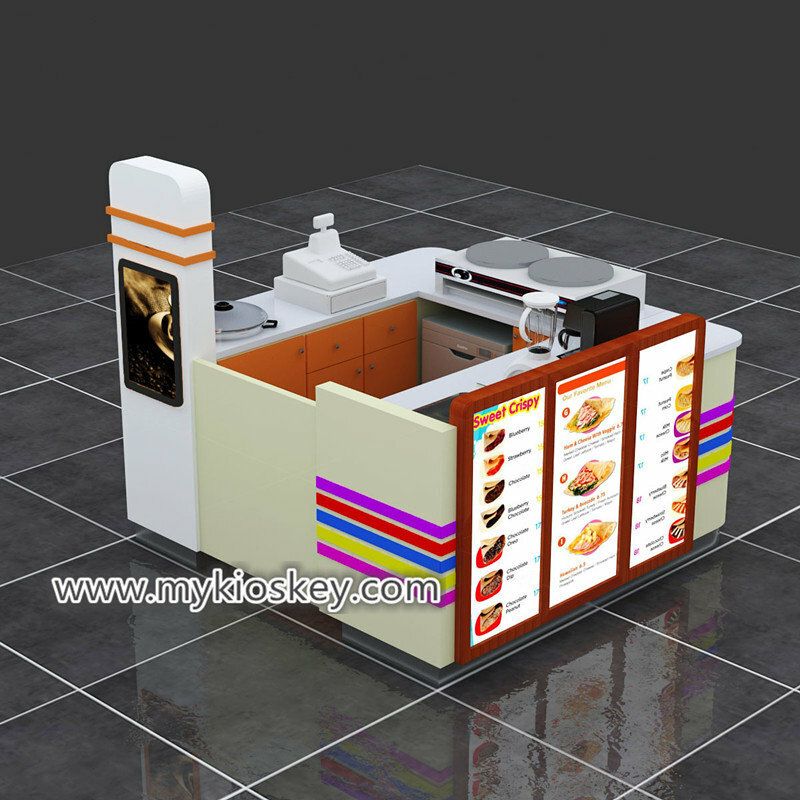 PreviousPrevious post:How to start mobile phone kiosk business in mall ?NextNext post:how to choose a style suitable mall juice bar ?